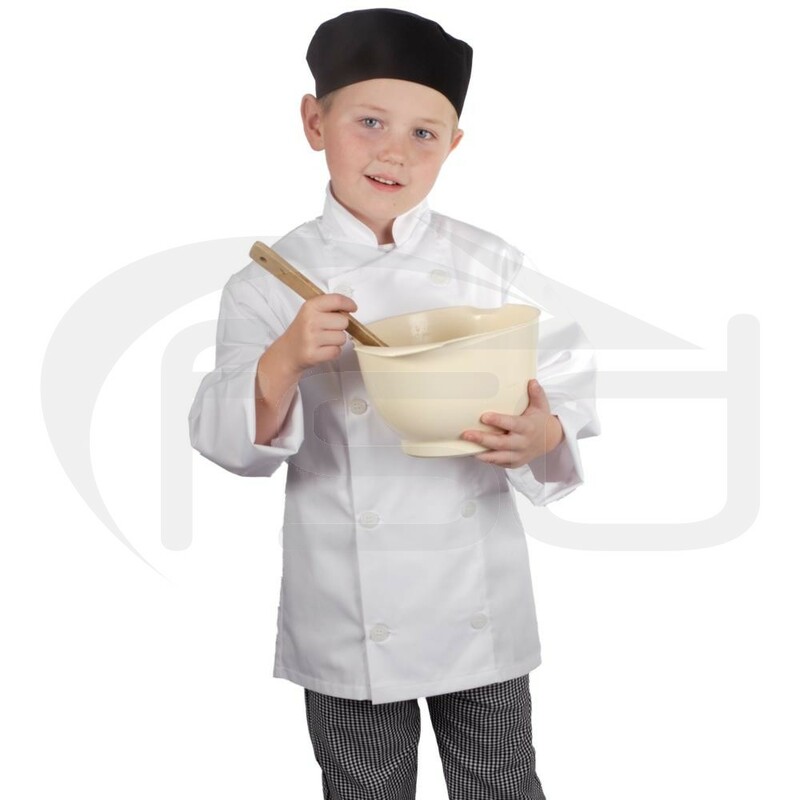 Kids Chef Jacket in white, offered in a range of sizes. 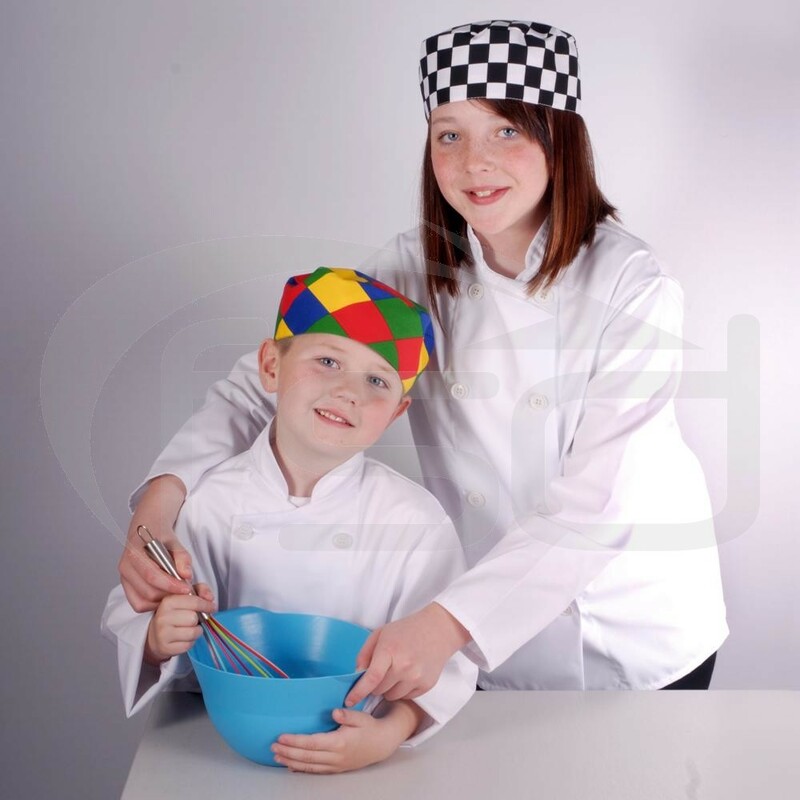 These kids chef jackets are exclusive to Food Safety Direct and have been designed especially for children! Our childrens chef jackets are equally useful for school technology classes or for learning cookery skills in the home in the kitchen. 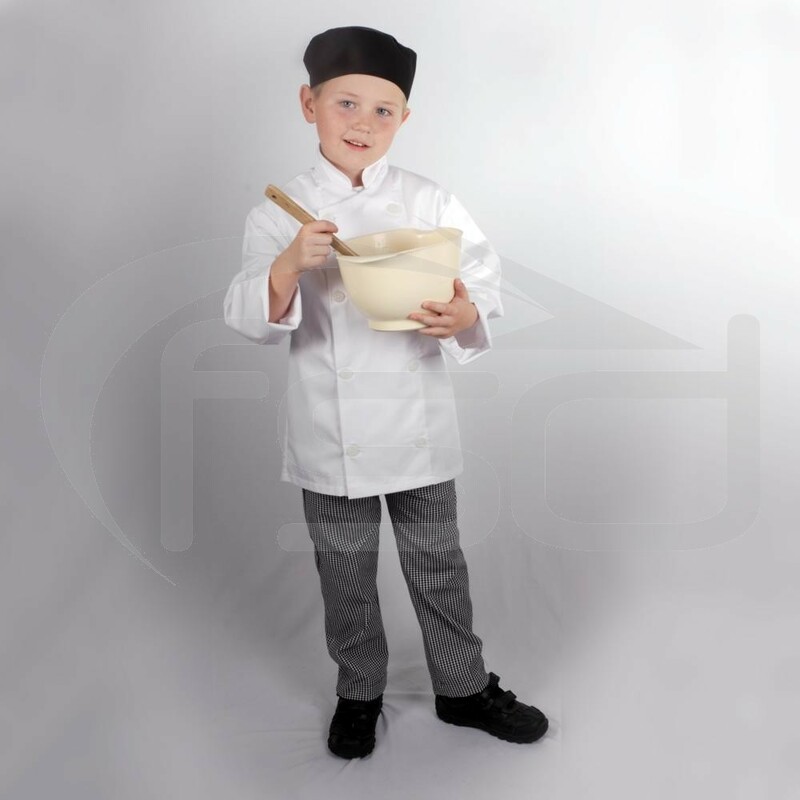 Our junior chef coats are made from top quality 195g poly-cotton to the same standard as our adult coats. The coats have double-breasted styling with 8 buttons and a stand up collar.